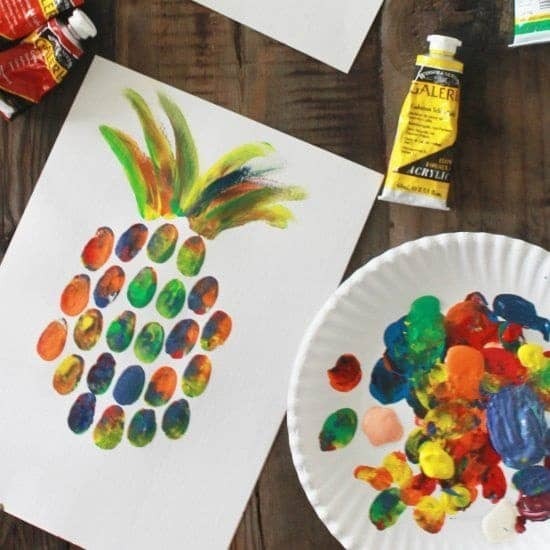 Are you ready to get super-messy with these finger painting ideas? Art doesn’t have to be perfect. As long as you enjoy what you’re doing, it means you’re doing it right. When you have that extra time on your hands, you can reminisce of childhood days and bring back a fun hobby. Finger painting is not meant only for kids. So many adults love showing off their creative side, by taking out the watercolors and spending some quality time using their fingers. If you are looking for an innovative way to show off your artsy personality, this is one amazing idea. 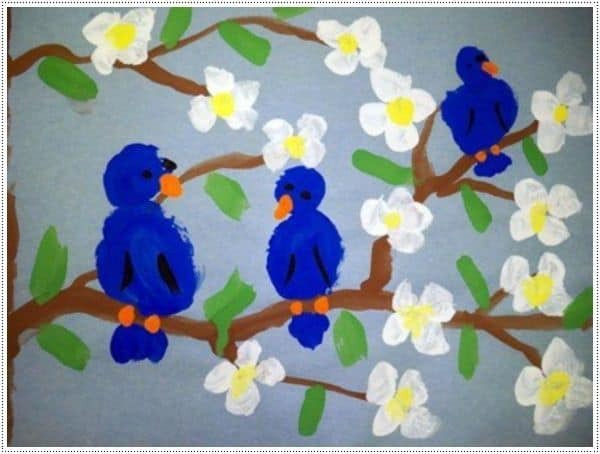 To start with, you can check out all the cute painting ideas below and get inspired for a full day of finger painting. This is one of the easiest, most creative finger painting ideas you can try. Whenever you need an activity to take your mind off things, try working on your painting skills. What’s even better, you won’t need a brush to create this gorgeous art. As you can see, there is also a chance to mix several different techniques like drawing with a pencil. 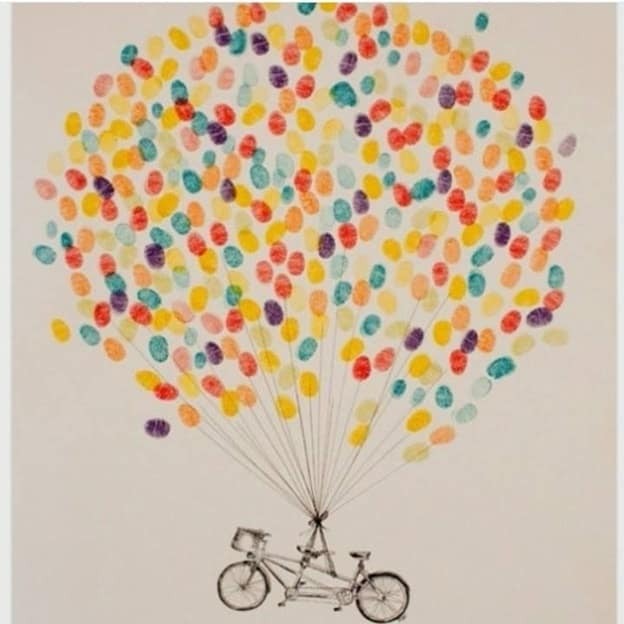 Dip those fingers in the colors and recreate a huge bouquet of flowing balloons. Maybe even your kids will join and make this a family thing. Pink is such a beautiful color. 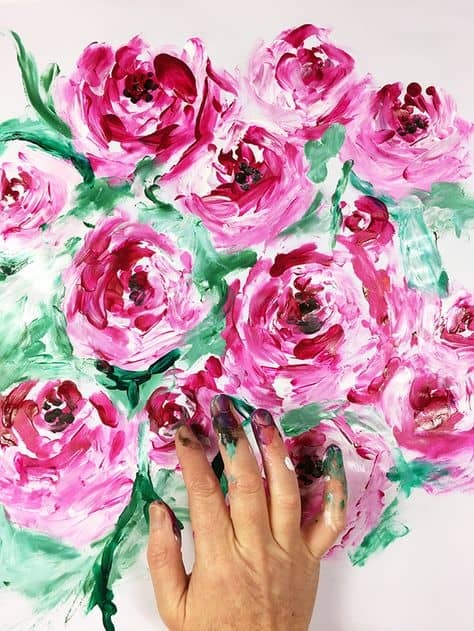 All ladies will definitely get inspired by this type of ideas for finger painting. Plus, vibrant blooms seem to be a great match with this technique. 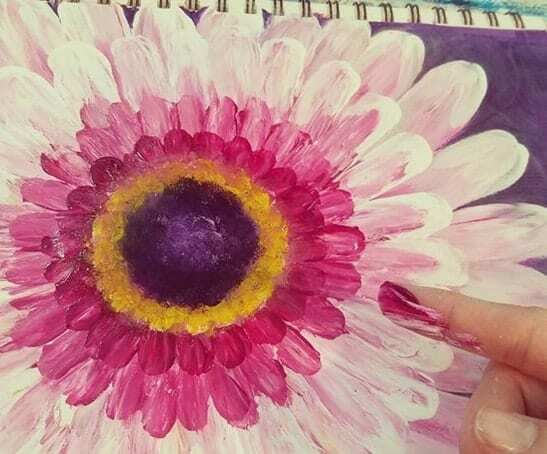 With just several strokes of the fingers, the vibrant flower will be done. It’s simple, alluring and infatuating. After finishing the first painting, you’ll only want to become better and better. There are actually people who do this for a living. Yes, you can dip into a full range of shade with a single finger. This tropical painting deserves to be hung in your living room. 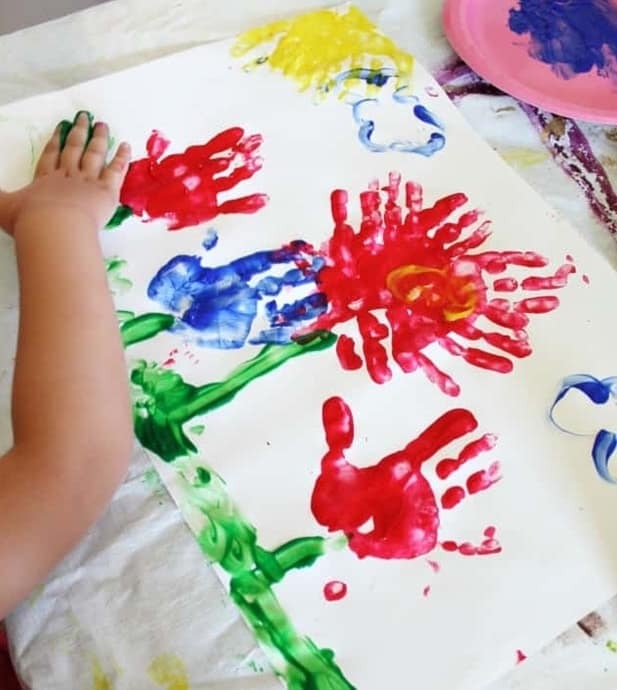 Finger painting is such an easy way to let steam off when you are anxious or stressed out. 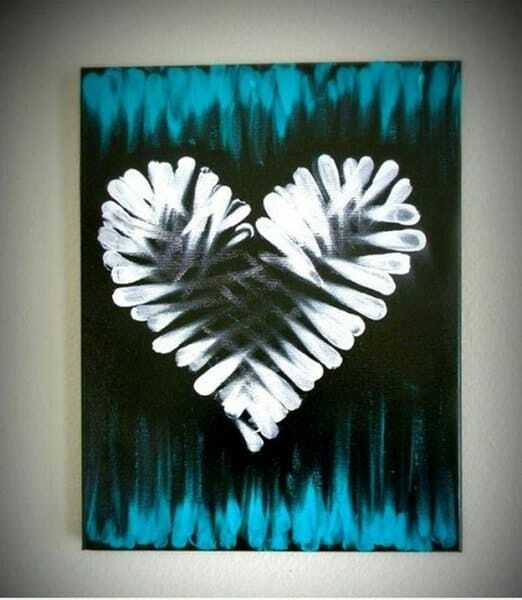 Plus, you really get to show off your creative side by reworking some stunning finger paint ideas such as this one. It doesn’t have to be the same. On the contrary, give your own touch to the art. Ho, ho, ho! It’s almost time to put your Christmas tree up if you haven’t done that already. After Thanksgiving, the festive spirit is so strong that you’ll be seeing decorations everywhere. 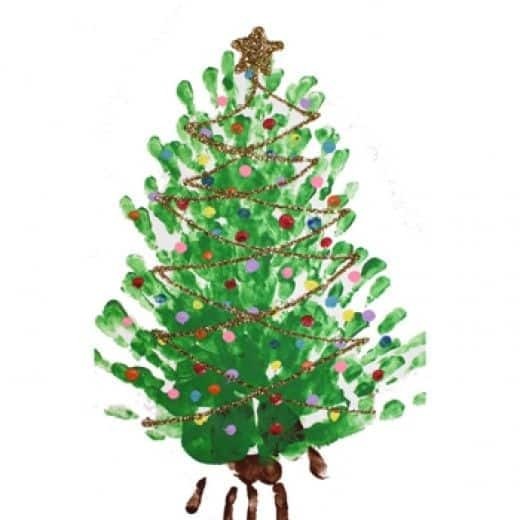 That is just another reason to include some holiday vibes in your finger painting art. Maybe you’ll even end up putting this painting right next to your high-end decorations. Another amazing idea is to create finger-made Christmas cards for your friends and family. With just a few movements of your fingers, you can produce such a gorgeous artwork. If you knew that finger painting is so easy, you probably would’ve started much earlier. The coolest thing is that it actually calms your nerves. You will completely disconnect and focus all of your attention to the stunning colors you’re working with. Fall shades are the most beautiful ones. 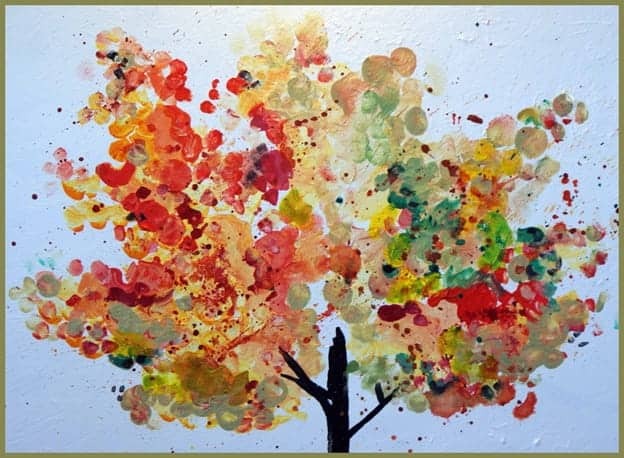 That is why a tree during autumn is one of the best finger painting ideas we could think of. The whole range of hues from bright yellow, to pretty brown is at your disposal. Mix, match and get dirty as much as you like. There are no clean lines in the fall. 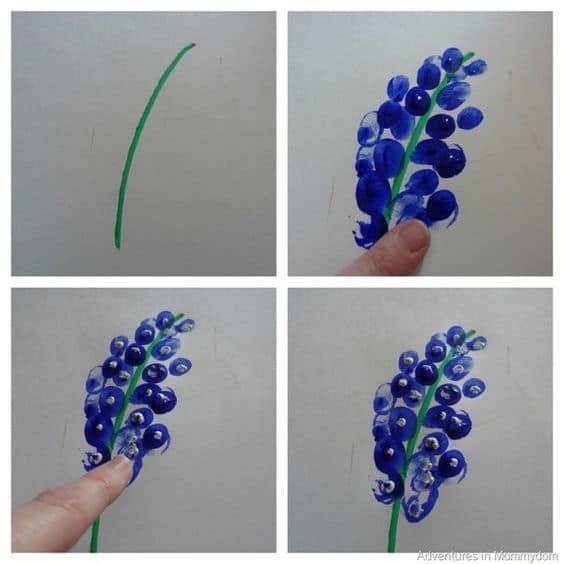 This is one of the simplest ideas for finger painting that you will ever try. For an even more impactful creation, you can always work on different types of paper. Your base doesn’t have to be white. On the contrary, sometimes dramatic ones such as black will give a very cool finishing touch. This painting would definitely look so boring if done on a white base. These days you can find literally anything, so feel free to be innovative and be playful with hues. Finger painting is not about creating the perfect art. This is an abstract approach to painting with messy strokes, that end up making sense. You’ll get your hands dirty, but the finished product might even end up being in a frame. After doing finger paintings for a while, you’ll be able to level up and do stunning work such as this one. The attention to detail is so mesmerizing. There is always the option to include other tools such as brushes to achieve the perfect artwork. It is a very versatile hobby because you will never get stuck on a single level. You’ll start out with some super-simple ideas and end being almost a pro. If you really like finger painting, the chances are you will become very good at it. Include your kids in this interesting hobby. It is an amazing way to develop their creativity, instead of looking at a screen all day. People often underestimate the power of art. The great thing about this idea below is that it also uses the whole hand. Do the big stuff with the palm and pay attention to detail with the fingers. It is a guarantee for a day full of fun. In the pool of many innovative painting ideas with fingers, this is a basic one. On the positive side, there is so much space for the upgrade. Start from painting tree branches with birds on it, and slowly work on the details. You will find it fascinating how every single time you work on this art, there will be new ways to make it look better. Everything winter-related can serve as your inspiration. Cold days are here so why not make the best of it. 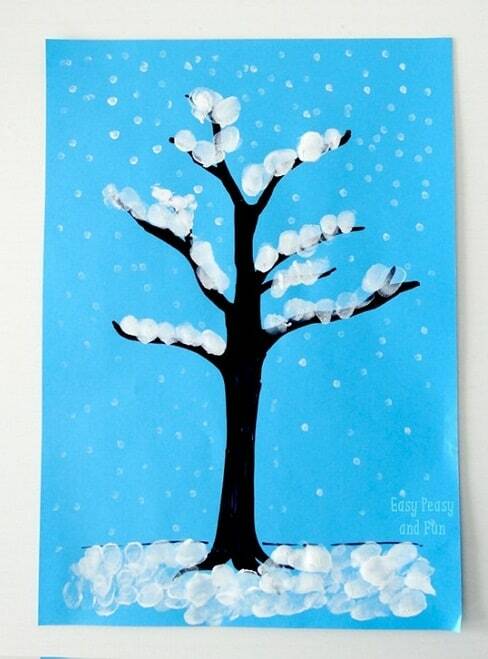 You can put your fingers into action and paint a snow-covered tree while watching the snowflakes fall from your window. Once again colorful paper proves that it can be the right choice. 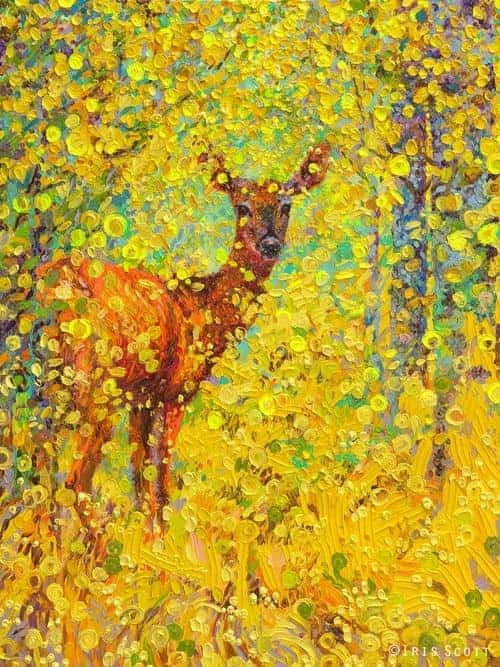 So which one of these amazing finger painting ideas piqued your creative self?